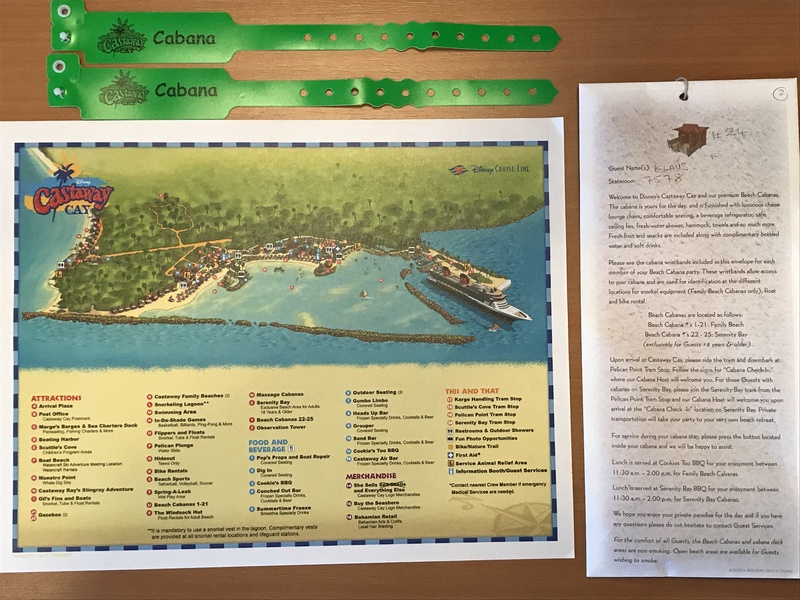 One of the best parts of taking a Disney Cruise is spending a day at Disney’s private island in the Bahamas, Castaway Cay. 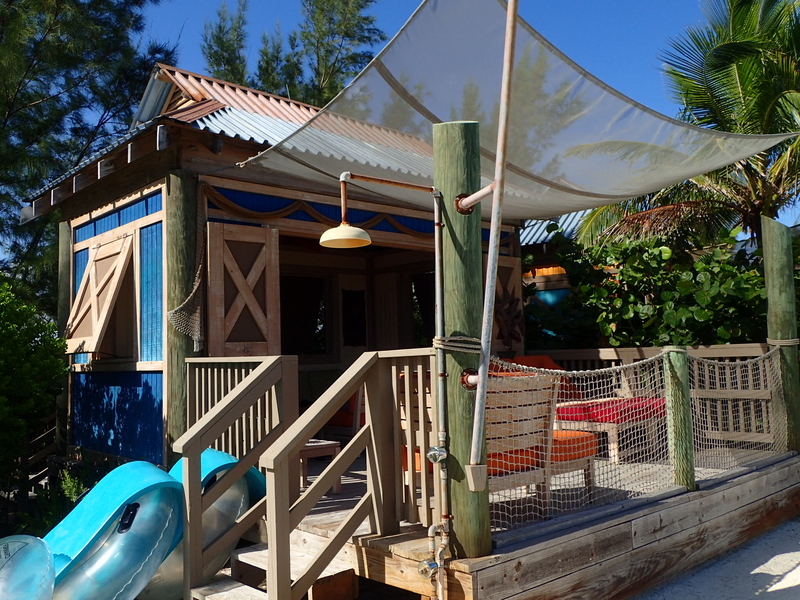 That said, one of the most sought-after experiences on Castaway Cay is booking a cabana! On our cruise last month, I was lucky enough to be able to book Cabana #24 on the adult-only beach, Serenity Bay. To say I was ecstatic was an understatement. 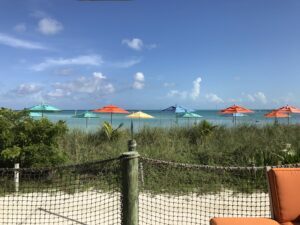 We love Castaway Cay, but July temperatures mean HOT weather. On summer cruises, I love to take advantage of the warm ocean water while my husband prefers to hang out in the shade. Having a cabana would mean the best of both worlds for us and I was excited to finally get a chance to test one out! 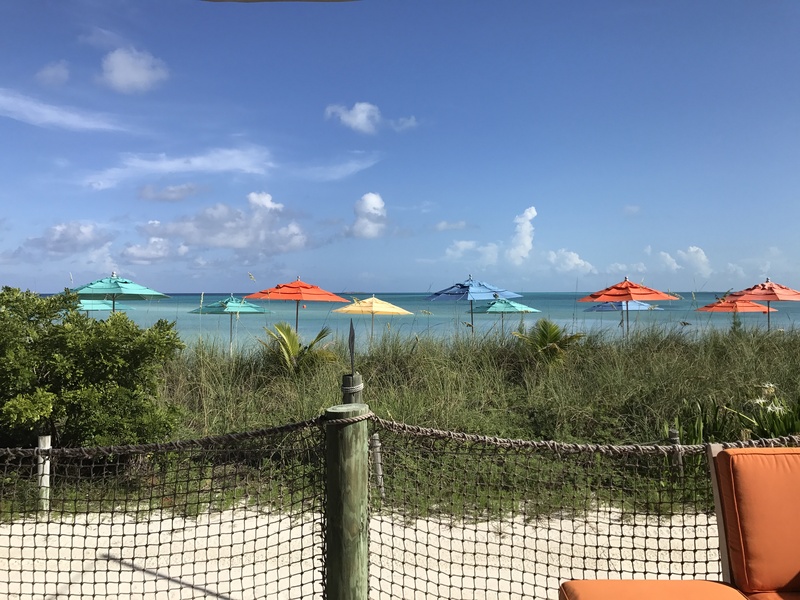 The morning of our arrival at Castaway Cay, we put on our swimsuits, grabbed our beach bag and headed to Cabanas for a quick breakfast. 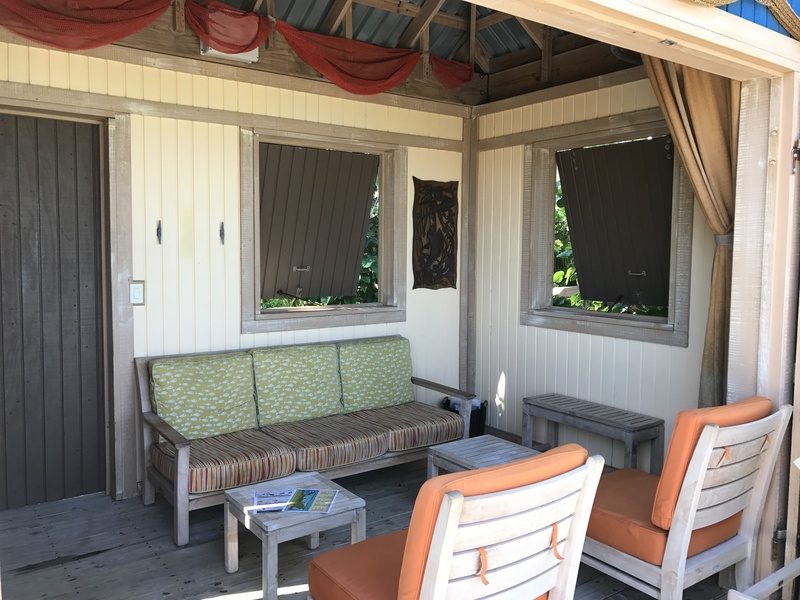 I usually participate in the Castaway Cay 5k, the free 5k held on the island, but I didn’t want to waste a second of the time I could be spending in our cabana! After breakfast, we walked off the ship and headed towards Serenity Bay. To get there you can either hop on two trams, or walk. We chose to walk, as nine days of eating had totally caught up to us. It was also the perfect time to get pics of the island without anyone else on the beach. We made our way to Serenity Bay in about 10 minutes, and checked in at the desk for our cabana. After giving our names and flashing our wristbands, were whisked away on a golf cart for the short ride to Cabana #24. 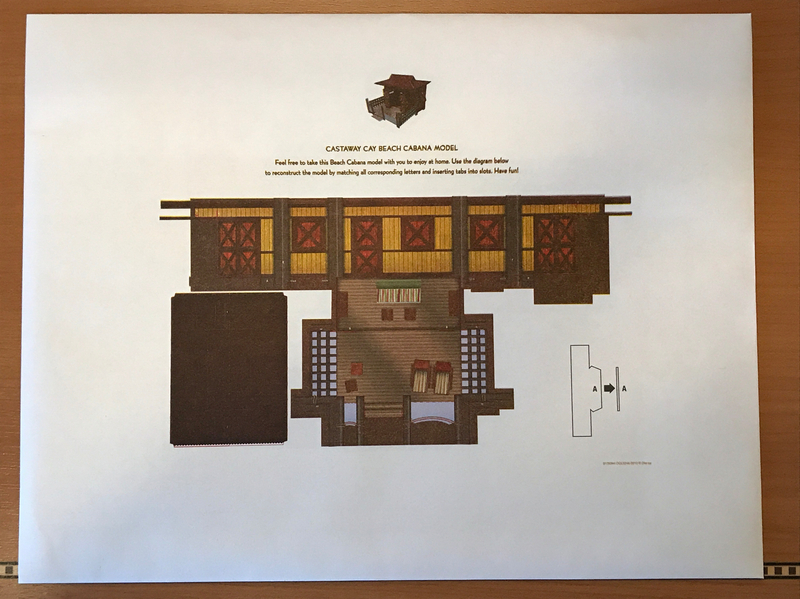 The ship’s Concierge staff services the cabanas, and you can summon your cabana host with a simple push of a button. While the staff offered to bring us on the golf cart to get our lunch, the walk to Cookie’s Too was short, and we found ourselves only summoning our host once to bring us a cold drink. 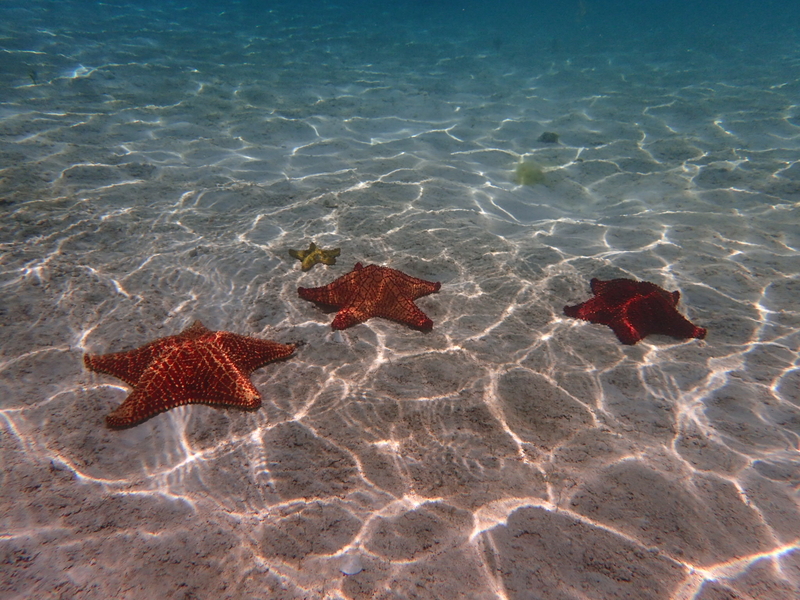 I loved having the fresh water shower to come back to after spending time in the ocean. The safe was great since we didn’t have to worry about leaving our phones or camera out in the open. It was also nice to have a fridge stocked with cold drinks and wet towels for when we took a break from the beach. Although there’s a few hammocks on the beach for everyone to use, having one just for us was a rare luxury. We also took advantage of having the rafts and tubes at our disposal. My husband, usually parked in a lounger under an umbrella, was content to float on one of the rafts while I snorkeled, taking pictures. Hands down, the best part of having a cabana for us was the privacy. Having our own padded loungers with a view of the beach that was slightly set back behind tall grass took everything that we love about Serenity Bay to the next level of relaxation. It’s like having your own private piece of paradise! 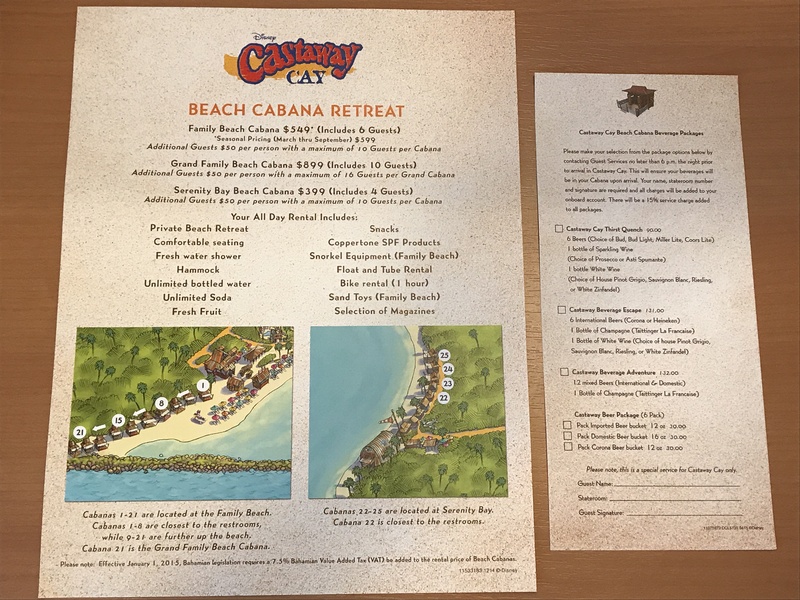 At Castaway Cay, there are twenty cabanas on the Family Beach – including one accessible cabana – and four at the adult-only beach, Serenity Bay. 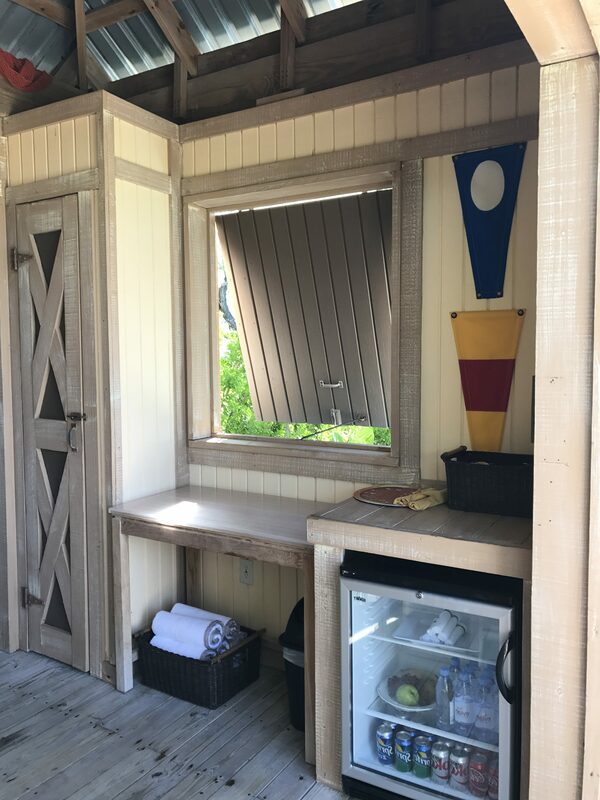 Cabanas are booked as Port Adventures during online check-in and can be difficult to reserve unless you’re a Concierge guest (which amongst other benefits, gives you a 150 days prior to sailing booking window – 30 days before Platinum Castaway Club members even get a chance to check in). If you’re not a Concierge guest or Platinum Castaway Club member, being ready at midnight on your check-in day (hint: here’s one of the reasons a great travel agent comes in handy!) is sometimes your only chance to score one of these for your vacation. Guests can cancel up to three days before embarkation, so once on board, you can check daily for cancellations. You can also have your name added to the wait list at the Port Adventures desk upon boarding. This is the number one question most people have, and that answer lies solely with the needs and wants of the guests reserving it. A cabana can be an especially good option for families traveling with heat-sensitive guests, elderly or small children. That said, we felt the privacy, peace of mind with our belongings and relaxed beach atmosphere was worth the splurge given the intense July heat. After our incredible experience, it’s something we would consider every time! Ready to book your next cruise vacation? 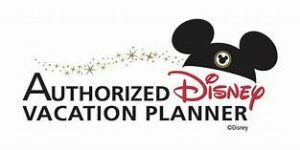 As an agent with Main Street Magic LLC, I’ll be on hand to help you plan everything for your next dream destination. Best of all, my services are absolutely FREE. Get in touch via email at katie@mainstreetmagicllc.com.